Are you feeling like a fish out of water? When a vampire such as yourself starts a new life outside of Transylvania, it can be overwhelming to say the least. The hustle and bustle of the modern world is a lot different than the village and castle lifestyle of the old world, and to say that folks dress a little differently too would be an understatement! Modern styles don't look like anything you're used to seeing around the old village, and you've probably kept up with the latest fashion trends. But maybe if you've tossed out all your old threads, you're feeling just a bit nostalgic for the days of lore. You know: when you used to rock a cape 24/7, sleep in a coffin, and ruled the castle with a wicked pair of fangs! If you pine for these good old days, give yourself a real treat by picking up this men's complete Vampire costume. It will be a total throwback to when you were a prince of Transylvania, and rubbed shoulders with Dracula and the like. 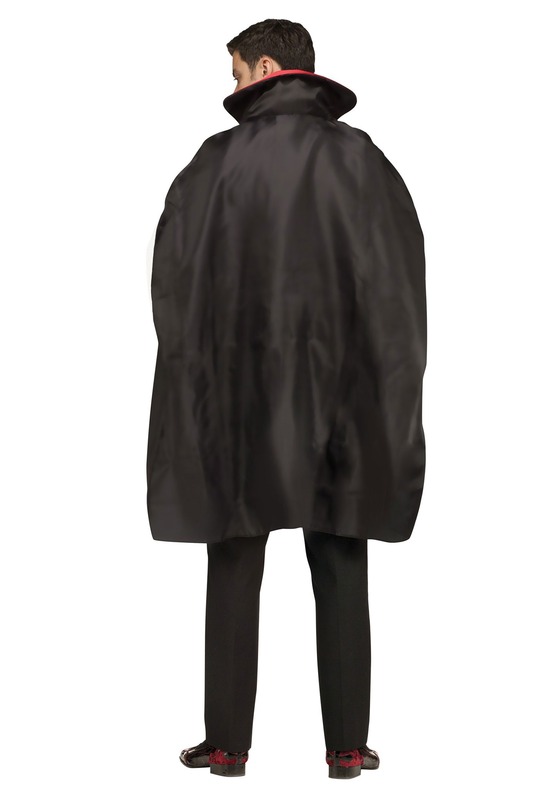 Even if you're not a real vampire, we're sure you'll enjoy this costume as a fun take for Halloween! 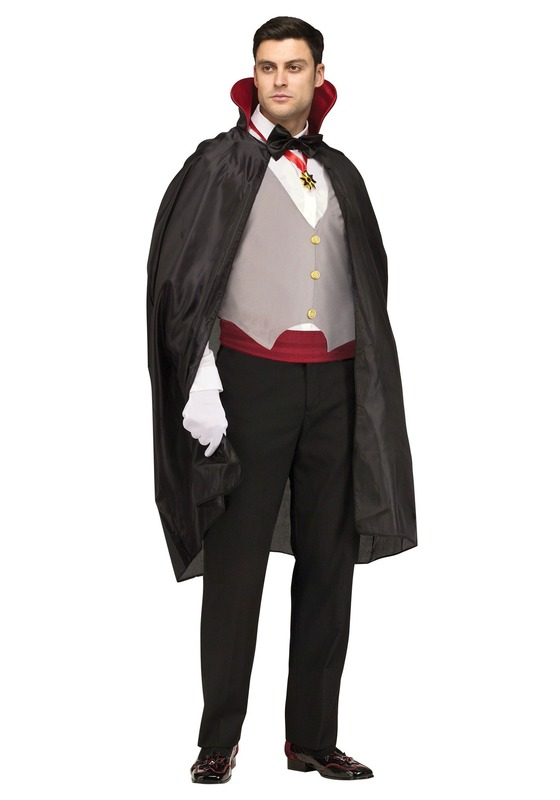 This costume features a cape, vest front, cummerbund and bowtie so you can turn any pair of slacks and shirt into a real Dracula-esque look. It even has a cool medallion to wear around your neck, and a pair of white gloves. We're sure when you have this costume, it will harken back to the good ol' days of Transylvania, whether you're a real vampire or not!